Is a colored gemstone the right choice for your engagement ring? Everyone knows that diamond rings are the most common gemstone engagement ring. They’re sought after for their sparkle, beauty and durability. But a diamond engagement ring isn’t for everyone. Diamonds are expensive, and their cost increases exponentially the higher the carat. And while they make be a great choice for the majority of couples, some brides prefer something a little more unique. Here are 5 great alternatives to the diamond engagement ring. This lovely gemstone is one of the four “precious” gems, along with emerald, diamonds, and sapphires. 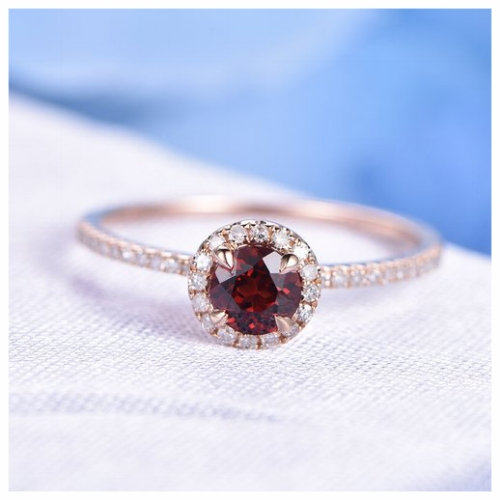 The ruby’s deep, crimson color makes this a romantic choice for an engagement ring. It’s almost as hard as a diamond and doesn’t easily break. However, the price can vary, so depending on the qualities and size of the gem, it can sometimes be as expensive as a diamond. 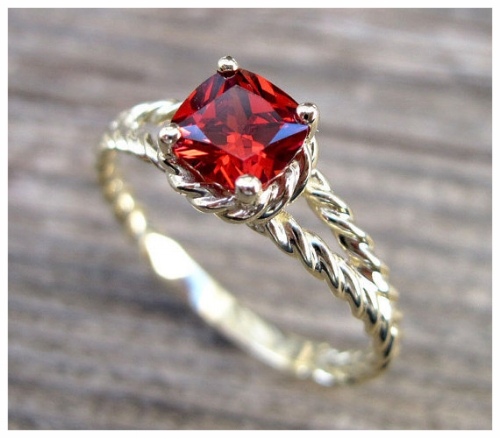 If it fits into your budget, rubies can evoke more passion than a diamond ring. Sapphires are actually a variation of corundum, which is the same mineral that makes up a ruby. They come in a whole array of colors, and their price can vary widely, but this precious gemstone tends to be less expensive than its ruby counterpart. Before diamonds became the most popular choice, sapphire engagement rings were traditionally one of the most sought after pieces. Royal blue sapphires make for an absolutely stunning ring, but purples and greens also make a good choice. As a semi-precious stone, aquamarine will be more affordable than sapphires or rubies. If you’re looking for a brilliant sparkling blue gem, aquamarine can work well for your unique engagement ring. This gem is actually harder and more durable than its cousin, the emerald, even if its not considered one of the precious “four” gems. 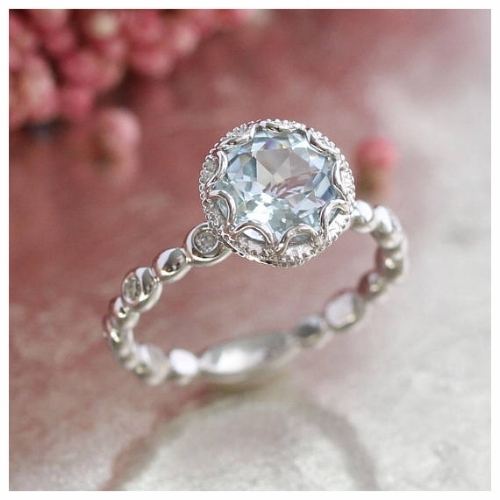 Because aquamarine requires less cleaning and protection, it will usually make a better engagement ring than an emerald, and you’ll find them at a better price. Despite their beauty, amethysts are one of the more affordable gems on the market. You’ll be able to find a stunning, royal purple amethyst at a good price for your engagement ring. Amethysts are also durable and don’t break or scratch easily. While it doesn’t have the crystal clear purity of the diamond or the passion of the ruby, this gem can be a great subtle symbol of romance and dedication. If you love the luscious red of a ruby but are looking for a more affordable gem, garnets are a great choice. Even if you prefer a cooler color, garnets can still be your chosen gemstone; they range all the way from mandarin orange to emerald-like green. Although these gems aren’t as hard as a diamond or ruby, they are still a durable stone and look stunning on an engagement ring. If you’re interested in skipping the diamond and searching for a unique gemstone, this list shows some of the most popular choices and can be a good place to start. However, there are plenty of other semi-precious stones that might be ideal for your engagement ring. As long as your chosen piece is relatively hard and resilient, your unique selection can make the perfect engagement gemstone. Want a Custom Ring Just for Her?